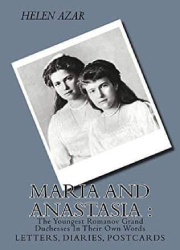 As a librarian, of course this topic is of great interest to me: which books did the Romanov family bring into exile with them and what did they read during their dreary days of captivity? 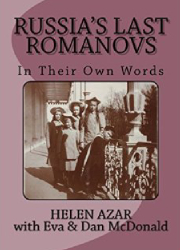 About 10 years ago, in 2005, I was very fortunate to have the chance to work with the Romanov family books directly – when I did an internship at the Rare Book Department of The Tsarskoe Selo Museum. 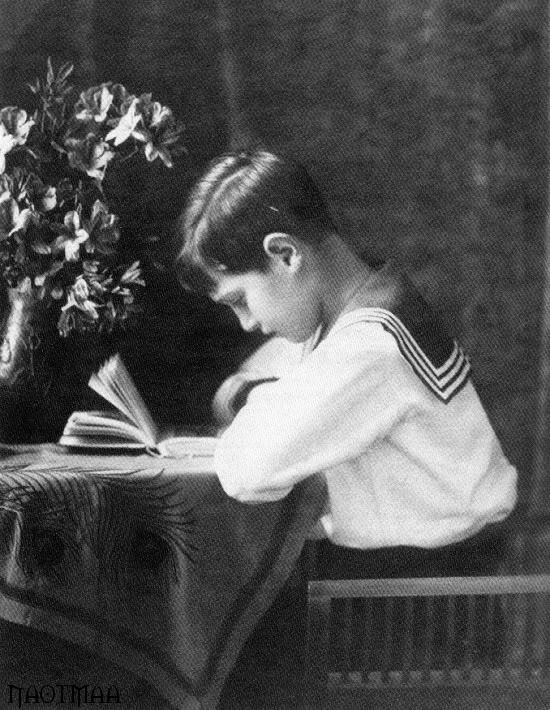 Their collection consisted of numerous books, many of which had inscriptions of the Romanov family members in them. I will do another story on those later! 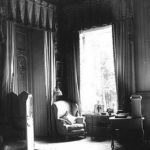 List of books that belonged to Empress Alexandra found at the Ipatiev house. 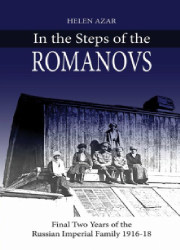 “The Ladder” – with a red and gold embossed cover. On the reverse side of the first blank page of the book is a pasted rhombus -shaped paper with the monogram: “A. F. “and the imperial crown. 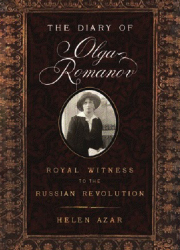 On the third page with the printed name of the book, is written in the Empress’s hand in pencil: «А. 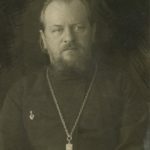 Ф. Ц. С. март 1906 г.» ( “A. 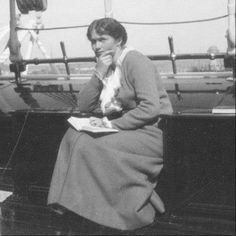 F. T. S. March 1906 “). Inside the book, some pages are crossed out and marked with a pencil. On page 167 are three bookmarks: a black white one marked with “184 № 53” and two blue ones one with the first letter P. for “page” ) and “184 № 53”, and on the other: “Р. 187 № 66”. On page 206 a white bookmark with “Р. 206 № 163”. On page 231 a pink bookmark with “Page 231 № 83”. And on page 269, just a white, wide, blank bookmark. “On the Patience of Sorrow.” Blue cover, embossed in gold and black. On the back side of the front binding is a diamond-shaped pasted piece of with the monogram “A. F.” and the imperial crown. 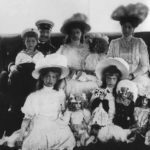 On the reverse side the Empress wrote: “A. 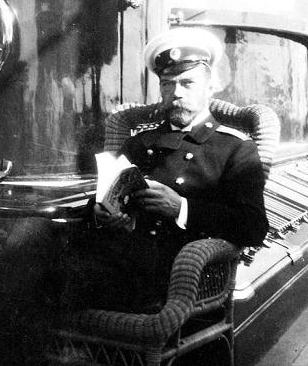 F. Peterhof. 1906 ” Inside the book is a lot of pencil marks and underlined passages. “Prayers” The book – in a dark blue calico binding. On the reverse of the title page pasted is a circle with an complex embossed monogram “NA” and “AF” and the imperial crown. The last page of the reverse sheet, written in black ink is: “May 6, 1883” Inside the book are a few dried flowers and a blue silk ribbon with a little ring. “The Bible.” The book is in a black calico binding. There are a lot of underlined passages, in pencil, and inside some page is dried grass stalks, leaves and field flowers. 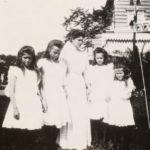 List of books that belonged to Grand Duchess Olga found at the Ipatiev house. An English book, “And Mary Sings Magnificat” (paperback). On its cover is the image of the Holy Virgin praising the Lord, with two angels accompanying her. On the first page of the book – the image of the cross and poems written by the Empress in English. 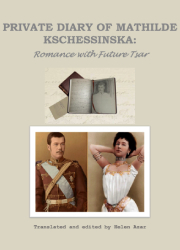 On the reverse side of the cover, the Empress wrote: “V. 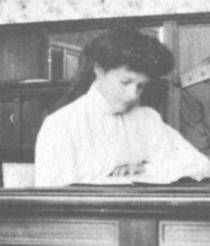 K. To Olga 1917. From Mama, Tobolsk. 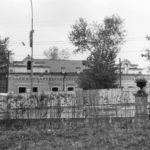 ” Inside the book, drawn and cut out from paper the images of the Church of the Transfiguration in Novgorod, and the Church of the Intercession on the Nerl, Vladimirkaya Province, and, enclosed inside are three pieces of paper. On one of them is a handwritten poem: “The Broken Vase” by Sully Prudhomme. 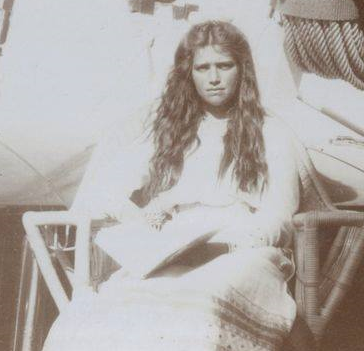 On the others two poems written by Grand Duchess Olga: “Before the Icon of the Virgin” and “The Forgiveness Prayer”. “The rules of Preparing for the Holy Communion.” The book has a blue embossed cover. 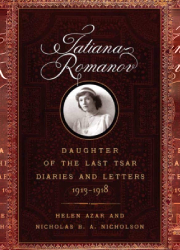 On the first page the Empress wrote: “To my little mother Tatiana, 9th of February, 1912 . 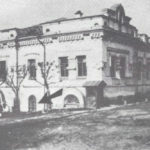 Tsarskoe Selo. 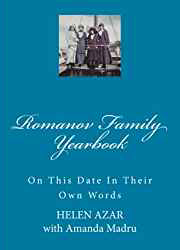 ” The book is printed in Slavonic. “Collection of Reverential Readings” by Valuev. Light lilac cover. Inside pages 259, 271, 307, 351 and 417 are embedded dried flowers. English book “The beauty of Self-Control”. Light blue cover. 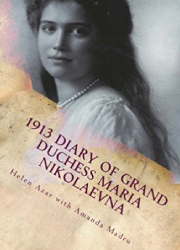 On the back of the first page the Empress signature: “Alexandra 1912” and some English lettering. “The History of Peter the Great” by Chistyakov. Blue-green cover. English book “Tales of Shakespeare“, brown cover. “Visual Teaching of Foreign Languages” On the reverse side of cover wrapper is the inscription: “Marie”. English book “The Role and the Ring”, green cover with a picture. 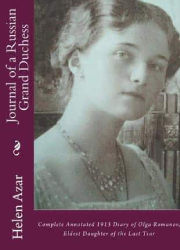 Four books of essays by Lazhechnikoa, Volumes 1-12, in colorful bindings.